Hannibal draws a lot of tourists eager to step into the world created by Mark Twain, which is a remarkable thing considering he wrote about a world that existed 150 years ago. Hannibal has a lot of Twain to offer, but it’s also an old river town worth getting to know on its own merits. Visitors can load up on brochures and information at the Visitor Center downtown (505 N. 3rd Street; 573.221.2477) or another located on Highway 61 that skirts around the city. Salt deposits in the area attracted a few Europeans to the area around Bear Creek, but no permanent settlement was attempted until Moses D. Bates organized a group of St. Louis residents to leave and start a new town. After poling a keelboat for sixteen days against the current, the group reached Bear Creek and got to work building a few cabins to live in. Bates saw an opportunity to make some money and kickstart his little community when he met Thompson Bird. He soon learned that his father, Abraham Bird, had one of the New Madrid Certificates. In 1815, the US Congress passed a relief act granting 640 acres to landowners who suffered losses from the New Madrid earthquakes. Certificates could be used to buy any land in Missouri that had not already been claimed. Bates convinced Bird to use the claim for the area around Bear Creek, which he did; Bird then gave Bates a 1/8 interest in the property and sold half of the claim to a St. Louis investor. The new village was surveyed in 1819, and Bates probably named it Hannibal because that’s the name Don Antonio Soulard used for the creek when he surveyed it in 1800. (Later residents called it Bear Creek.) Unfortunately, disputes related to Bird’s use of the certificate clouded ownership claims until 1833, which didn’t do much to convince more people to move there. Bates brought enslaved blacks with him and opened a trading post. Business wasn’t great for the first few years, so some families didn’t stick around, including Bates. In 1821, he moved to Galena to build keelboats for the Galena-St. Louis run. Four years later, he launched the General Putnam, the first steamboat to run regularly between Galena and St. Louis; Hannibal was one of its stops. The city began to take root in the 1830s, after those land titles were settled. Some of the early businesses included a pork packing plant, a sawmill, and cooper shops. In 1831, the city got its first ferry, a flatboat powered by oars that could hold a team of horses and a wagon. In the 1830s, an east coast investor founded a town called Marion City about twelve miles upriver of Hannibal. He didn’t realize that most of the area was marshy, though, so he lost much of his investment when new residents gave up in face of a big flood in 1836. They moved to Hannibal, which helped the city grow from just 30 residents in 1830 to a thousand a decade later. It was during those years of rapid growth that Jane and John Marshall Clemens moved to Hannibal with their six children, one of whom, four-year-old Samuel Langhorne Clemens, would immortalize the town in his books and short stories. The year after the Clemens family arrived, the town was hit with a measles epidemic that killed forty people, but the Clemens family probably wasn’t to blame. Hannibal’s early fortunes were deeply tied to the river. In 1847, the city recorded over a thousand steamboat landings. Many of those boats carried surplus wheat to market, as well as hemp and tobacco. Commercial fishing thrived for a while, until native fish stocks were nearly depleted. The river giveth and the river taketh away, too; the city suffered through major floods in 1844 and 1846. After the Civil War, logging boomed in the forests of northern Minnesota and Wisconsin, and many of those logs were floated to Hannibal for processing. In the 1870s, Hannibal grew into the fourth largest producer of finished lumber in US. The logging boom was over by 1900, and the city’s sawmills shut down. In an effort to reboot Hannibal’s economy, the city bought up old factory lots and offered free land to new companies; in some cases, they even covered up to half of new construction costs. These incentives helped land a big shoe factory (Roberts, Johnson & Rand, which later became the International Shoe Company) and soon the industrial corridor along Bear Creek filled in with a variety of factories (cigars, steel, and metal products, for example). A small Jewish community grew in Hannibal in the early 1900s. Temple Israel was dedicated in 1935 and remained active until it merged with Temple B’Nai Shalom in Quincy in the 1960s. Lester Gaba was part of the small Jewish community of that era; he worked in his father’s retail store when he was growing up. After graduating from high school, he went on to find fame doing retail window displays and as an artist. He worked in soap for a while (and even sculpted a cameo of Mark Twain for the local museum), then became an adept painter later in life. His brother, Mark, was a local tennis star who was killed in the Philippine Islands at the end of World War II. Like most of the US, Hannibal lost manufacturing jobs beginning in the 1980s. Hannibal still has a significant manufacturing base, though; General Mills is the region’s largest employer. Health care and education also employ a lot of people, and tourism is also a big deal, obviously. 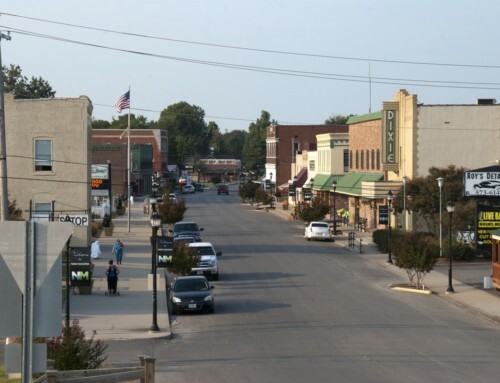 Like every river town, Hannibal has lived through its share of flooding, with the river often stretching out toward Main Street. Building a barrier wasn’t a cheap proposition, though, so it wasn’t until 1993 that a flood wall was completed (where Front Street used to be), just in time, as it turned out. The Great Flood of 1993 crept high up the new wall, but it held. Subsequent major floods in 2008, 2013, and 2014 have tested the wall again and again. Random Fact: Some of the streets you drive down today are topped with asphalt that was laid over cobblestones that were placed atop wood planks. If you’re going to visit Hannibal, you may as well go full Mark Twain. Start at the Mark Twain Boyhood Home & Museum (120 N. Main St.; 573.221.9010). When you buy a ticket, you purchase admission to several buildings: the main museum, the home where Sam Clemens grew up, and the Huckleberry Finn and Becky Thatcher Houses. The main museum gives a good overview of Twain’s life and why we still read his books. Mark Twain Cave (7097 County Road 453; 573.221.1656), just south of downtown, offers a one-hour tour that explores more Twain mythology, but this time in an underground setting. The Haunted House on Hill Street (215 Hill St.; 573.248.8040) is a spooky little place full of ghost stories and 27 wax figures of people invented by Mark Twain or known to him personally. 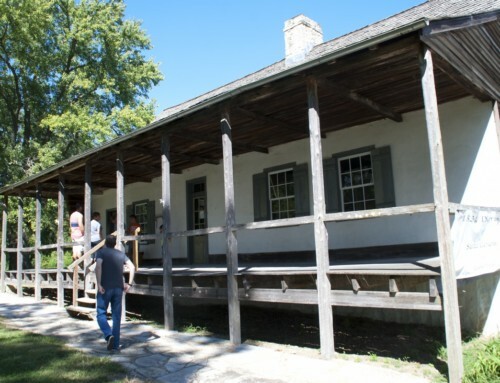 Jim’s Journey: The Huck Finn Freedom Center (509 N. 3rd St.), housed in a historic stone house probably built by enslaved Africans, relates stories of African American history in Hannibal with photographs of residents, documents, and items from everyday life. As you roam around town, you might even come across young Tom Sawyer and Becky Thatcher. If you do, don’t be shy about posing for a picture with them. Believe it or not, Hannibal has a few attractions that aren’t directly related to Mark Twain. The Hannibal History Museum (200 N. Main St.) has exhibits on the broad outline of the city’s history. Titanic survivor Molly Brown, born Margaret Tobin Brown, was born in Hannibal, and her old home has been preserved and opened for tours; the modest Molly Brown Birthplace and Museum (600 Butler St.; 573.221.2477) showcases her remarkable life. Spreading out over the top of a hill above downtown, the 13,500-square foot Rockcliffe Mansion (1000 Bird St.; 573.221.4140) reeks of gilded age opulence. The house, Georgian Revival in style with Art Nouveau accents, was completed in 1900 for the John J. Cruikshank family; Mr. Cruikshank made a lot of money from the lumber business in Hannibal. The house is open for guided tours from mid-March to mid-November. The Hannibal Arts Council (105 S. Main St.; 573.221.6545) showcases the work of local and regional artists and hosts a few performances a year, as well. Lovers Leap (Highway 79 south of downtown) rises about 300 feet above the Mississippi River; the park at the top provides great views up and down river. 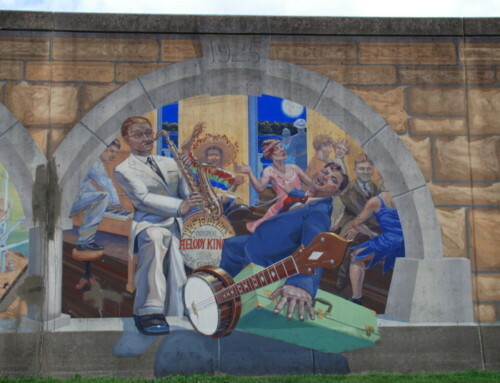 **Hannibal is covered in Road Tripping Along the Great River Road, Vol. 1. Click the link above for more. Disclosure: This website may be compensated for linking to other sites or for sales of products we link to. 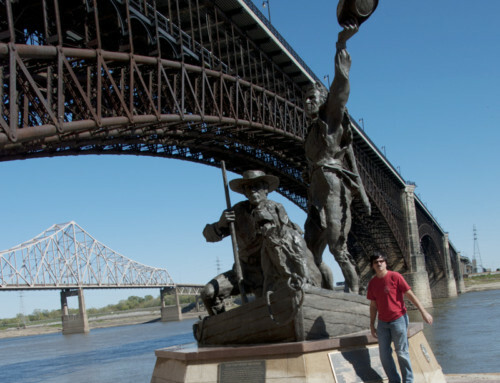 The Mark Twain Riverboat (573.221.3222) will take you out on the Mississippi for an hour of sightseeing or for a two-hour cruise with a meal. The Hannibal Trolley (200 N. Main St.; 573.221.1161) takes guests on a relaxing one-hour driving tour of the sights around town. For a different kind of experience, Haunted Hannibal Ghost Tours (573.248.1819) will introduce you the specters and undead who still roam around the city; the tour is via shuttle and lasts about an hour. The seasonal farmers market sets up Saturday mornings and Tuesday evenings at Central Park (5th and Broadway). Jim Waddell performs Mark Twain “Live” at Mark Twain Cave from April through December (7097 County Road 453; 573.221.1656). Richard Garey’s Mark Twain Himself is the actor’s interpretation of the lectures that Twain was famous for; he performs at the Planters Barn Theater (319 N. Main St.; 573.231.0021). Hannibal’s annual Twain on Main Festival (573.795.6233) celebrates Mark Twain’s writings; events take place over the Memorial Day weekend and include reenactors roaming the streets, live music, arts and crafts vendors, and a memorial lantern float on the Mississippi River. Juneteeth is the annual event marking the day Abraham Lincoln issued the Emancipation Proclamation. In Hannibal, most of the events take place at Jim’s Journey: The Huck Finn Freedom Center (509 N. 3rd St.). National Tom Sawyer Days (573.795.6233) is Hannibal’s big festival of the year, as it has been every year since 1956. Look for events like fence painting, frog jumping, fireworks on the 4th of July, and plenty of places to buy stuff from local vendors. You’ll also find young Tom and Becky wandering around town to say hi and to pose for photo ops. 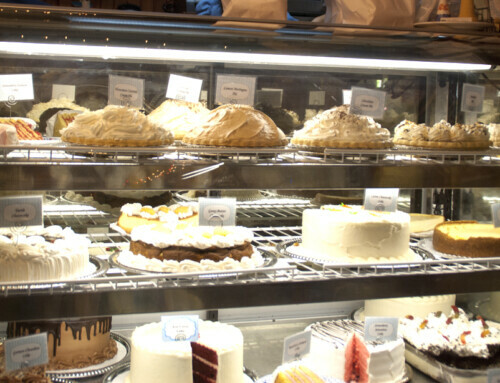 Java Jive (211 N. Main St.; 573.221.1017) is part coffee shop and part café, with fresh pastries, salads, and sandwiches served in a historic storefront. Big Muddy BBQ (Highway 61 at County MM; 573.719.3098) is the place for tasty smoked meats. The Mark Twain Brewing Company (422 N. Main St.; 573.406.1300) churns out locally-crafted beer plus pub food; their restaurant is open later than many other restaurants in town. Sip wine at Cave Hollow West Winery (300 Cave Hollow Rd. ; 573.231.1000), down at the Mark Twain Cave. The Brick Oven (205 Center St.; 573.221.1288) bakes tasty pizza in a wood-fired oven. LaBinnah Bistro (207 N. 5th St.; 573.221.8207) is a good choice for fine dining in an intimate yet casual setting; many of the dishes have Mediterranean influences. Mark Twain slept here and so can you! Located just outside of town, Garth Woodside Mansion (11069 New London Gravel Rd. ; 573.221.2789) has eight rooms and three cottages for rent and 36 acres of quiet space to enjoy. Mark Twain spoke here, and so can you! That impressive estate on the hill, Rockcliffe Mansion (1000 Bird St.; 573.221.4140), not only offers tours but rents rooms for overnight stays. Guests enjoy a nightly wine and cheese reception, great views of town and the river, and plush accommodations. The Dubach Inn (221 N. 5th St.; 573.355.1167) rents three suites in an Italianate mansion built in 1871. The Belvedere Inn (521 Bird St.; 217.799.6086) rents four rooms in another Italianate mansion, this one built in 1859. Reagan’s Queen Anne B&B (313 N. 5th St.; 888.221.1251) rents four rooms and one suite in a historic house. The Garden House B&B (301 N. 5th St.; 573.221.7800) is another Queen Anne beauty; they have four rooms available. In the heart of downtown, the Main Street B&B (201 N. Main St.; 573.406.3892) rents three thematically-decorated rooms. Otherwise, the lodging options in Hannibal are pretty much chain hotels; most aren’t near the river. Pick your favorite brand and go there. The closest airport is Quincy Regional Airport (1645 Highway 104; 217.885.3262), which has several daily flights to/from St. Louis on Cape Air. Hannibal is served by Burlington Trailways buses; they pick up passengers at the Hardees along Highway 61 (2900 James Rd.). You should purchase tickets in advance. Heading upriver? Check out Palmyra. Heading downriver? Check out Saverton.